(NaturalNews) Five years after the Fukushima nuclear accident, local residents are reporting a marked increase in serious birth defects, but due to an ongoing coverup by Japanese authorities, and a severe lack of scientific studies being performed, very little information on the subject is reaching the public. A February, 2016 broadcast on LaborNet TV featured interviews with evacuees from the affected areas near the Daiichi nuclear plant, who provided firsthand accounts of babies being born with extra limbs caused by a structural birth defect called polymelia. The interviewees also reported a large number of stillbirths, as well as numerous abortions performed due to "inconvenient pregnancies" – in other words, pregnancies in which birth defects were detected prenatally, causing doctors to recommend abortion procedures. "A year later I got to hear first hand cases of babies with a structural birth defect or polymelia..."
Although these firsthand accounts must be considered anecdotal evidence, the stories are compelling, and there's little reason to doubt them. And these accounts are especially important since there have been so few studies conducted on health effects resulting from the disaster. In fact, only two known studies involving changes in death and disease have been made available, and both indicate an increase in cancer and thyroid problems in Fukushima-area children. "One [study] showed that 127 Fukushima-area children have developed thyroid cancer since the meltdown; a typical number of cases for a similar sized population of children would be about 5-10. The other study showed a number of ectopic intrathyroidal problems in local children – a disorder that is extremely rare. No other studies looking at changes in infant deaths, premature births, child cancers, or other radiation-sensitive diseases are available." Despite the scientific and anecdotal evidence, the Japanese authorities are obviously attempting to coverup the extent of the effects of Fukushima radiation on the populace. As Erin O'Flaherty wrote in an essay published by Activist Post: "They [the Japanese goverment] have since refused to discuss radiation, give no information about the harms of radiation, and have even gone so far as to say radiation is healthy." 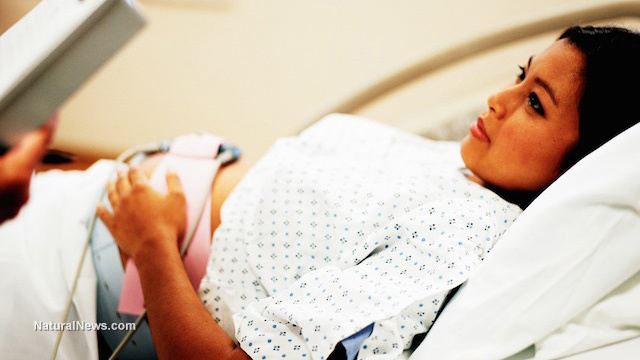 "I just shared the story about my daughter's abortion and high number of stillbirths. Whenever I deliver such a message I'm told to shut up. People say it's a delicate issue, bad influence on Fukushima reconstruction or no data to back up. But more than 10 girls had similar experience as my daughter's. Actually one woman was recommended to get an abortion at 6 months pregnancy last summer, and her unborn baby lacking one arm, one leg, with only 3 fingers on its foot." Until the veil of secrecy is lifted, we can only speculate on how serious the effects of the Fukushima disaster have been already, and will continue to be. The Japanese government is guilty of a grave disservice to the people of Japan, and indeed the entire world.